As summer winds down and school is right around the corner, there's no doubt that you or your child will be faced with a test or a research project this coming school year. We'd like to introduce you to our online resources that can help make your child's upcoming school year a success. The Alvin Sherman Library has a vast amount of resources to help you find reliable information quickly and from your home computer anytime day or night. For many, google is the first choice in searching for information...but why not consider using the Alvin Sherman Library first? You'll be amazed at what resources exist inside our facility! Stories, songs and a puppet show with our very own Shermanettes, winners of South Florida Parenting’s Kids Crown Award! Enjoy Fantasy Theatre Factory’s high energy, totally interactive dance show featuring today’s latest hits and some dances of yester-year. Learn how to create a resume using Microsoft Office, Google Docs and Zoho Writer templates. 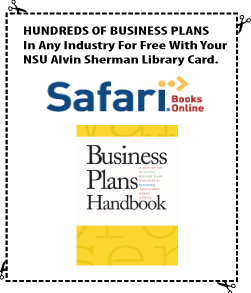 Attendees will need the following: NSU SharkLink Account or NSU Public Card, flash drive access to a personal email account. Basic computer skills are required. These are individual one hour sessions. Registration is required and begins two weeks before each date. The Genealogical Society of Broward County’s (GSBC) will host only an open lab (12 noon - 2 pm) and the Genealogical Society of Broward County business meeting (which begins at 2 pm) on April 1. Sponsored by the Genealogical Society of Broward County.